Raynor,Sears,Craftsman, Martin, Seal and doors offered by Home Depot and Lowes. Greer OverHead Door can repair your existing door or replace it. We offer a variety of upgrades to make your exsting door or doors safer, more quiet and more maintenance free. Garage Door Springs can be very dangerous. Let our qualified technicians adjust, repair, replace or upgrade your existing springs. Your door will function better with less noise and less stress on your opener or your back. Openers can be noisy and are seldom ever serviced. Greer OverHead Door can breathe new life into and older opener. We offer extra remotes, keypads and safety items designed to keep children and pets safe. Most openers fail due to lack of maintenance on the drive system and door itself. Door Panels Hinges Rollers and Hardware can also be relaced as needed. It isnt always necessary to replace the entire door. Sometimes depending on age the door panels can still be matched and replaced individually. Hinges and rollers are like the springs as they play a vital part in how your do0r functions. If the door is noisy or appears to be struggling when opened or closed it may be time to service or replace the hinges,rollers and/ or hardware. Garage doors and Overhead doors are our specialty. 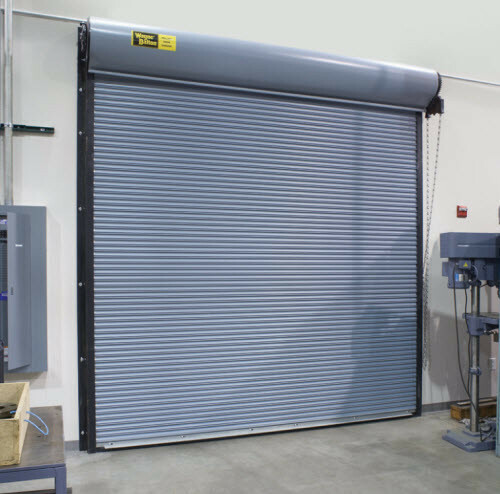 Greer Overhead Door has a door for any of your needs. Economy doors are available in more than one style and color and you dont have to spend alot to get a good looking functional door. Steel doors are available in most sizes and can be accessorized to look like a more expensive door. Garage doors are available insulated or noninsulated, with windows or without and have a variety of designs available for windows if you choose to have them. For a better quality Garage door, fiberglass doors offer greater flexibility and will show less wear over a longer period of time. These doors are offered in a wide variety of colors and styles and are a great price point for a custom look. Many fiberglass doors have the appearance of a wood door. Fiberglass garage doors have price points that start just above steel doors and from there are only limited by your imagination. Wooden garage doors are available and the design options can be limitless. If budget is not a major concern and you are looking for something more traditional then a wood door may be for you. Garage door openers are now available with many features or as a basic unit. Openers sould be matched correctly to your door size. You should also consider noise levels as the chain drive versions can be loud. Belt drive openers are more quiet and can be maintenance free. There are many other options available depending on your needs and budget. Greer OverHead Door can help you with all your overhead door needs. 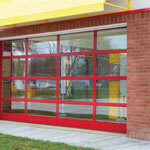 Sectional doors or roll up doors. 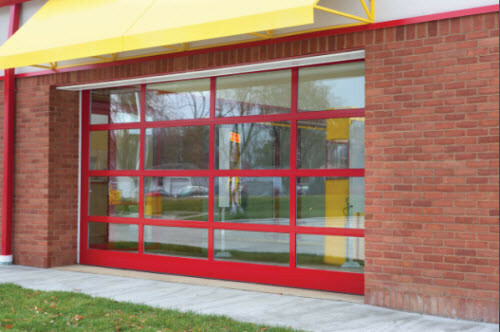 We offer Commercial doors for most any application. Service doors for factories, warehouses, trucking, schools, firestations, storage units, repair shops, restaurants, you name it. 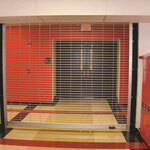 If you need insulated doors or fire resistant barrier doors we can help with that as well. Openers are also available for your application. Automatic, standard and manual. We can also help with custom designs for unusual needs or problems. 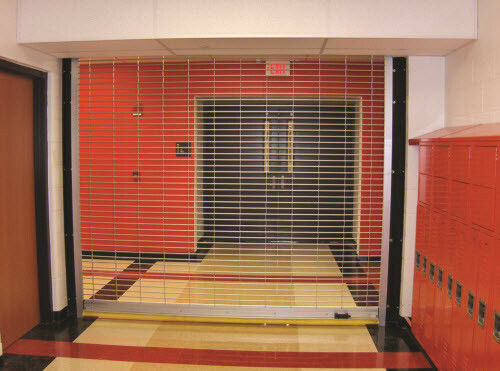 Greer OverHead Door also sells and services rolling grilles and counter doors.